Drogerie Průša was the chemist's store where Ferdinand was an assistant. Drogerie Průša was a chemist's store at Tylovo náměstí right on the lower corner with Vávrova třída at Královské Vinohrady. Jaroslav Hašek worked as an apprentice here some time between March 1898 and September 1899. Over the year several newspaper adverts testify to the existence of the chemists, confirmed by address book entries. In 1906 discrete newspaper adverts for remedies against "men's problems" appeared, but they also advertised remedies against bed-nugs. In August 1915 an advert appeared in Prager Tagblatt where large amounts of furniture was for sale, indicating that the shop was about to close down. The owner was Průša (František). K.u.k. Heer is first mentioned (as "the army") in an anecdote Švejk tells from his time in the army (national service). This is in the conversation with Müllerová at the very start of the novel. After this the army is mentioned innumerable times, and is the most important backdrop for the novel (with Švejk as a soldier) from the middle of Book One. It is also the principal target of Hašek's satire. K.u.k. Heer (also k.u.k Armee or Gemeinsame Armee) was the largest and most important body in k.u.k Bewaffneten Macht (armed forces). Together with the k.k. Landwehr (Austrian national guard) and the k.u. Honvéd (Hungarian national guard) it made up the Landstreitkräfte (terrestrial forces). These and the k.u.k Kriegsmarine (navy) made up the total armed forces. The common army consisted of infantry, cavalry, supply-troops and technical troops. The period of service was three years. During the war, losses were replaced by so-called March battalions, one of which Švejk was later to be assigned to. The k.u.k army existed from 1867 to 1918 and suffered catastrophic losses in WW1, the only full-scale war it ever participated in. At various time it fought on four fronts; Serbia, Galicia, Romania and Tyrol and after the heavy losses in 1914 it increasingly became dependant on German support. The army command was from 1913 located in the building of the Kriegsministerium at Stubenring 1, Vienna. At the time when Švejk did his national service they were surely still at the old premises in Am Hof 2. This building was demolished in 1912. Oberbefehl lay with the monarch who communicated with the army through Militärkanzlei Seiner Majestät des Kaisers und Königs. Kriegsministerium was responsible for the day to day operation of the army. From 1914 to 1917 archduke Friedrich was general inspector of the army but he delegated the operative responsibility to Conrad. [1.1] Jó, paní Müllerová, dnes se dějou věci. To je zas ztráta pro Rakousko. Když jsem byl na vojně, tak tam jeden infanterista zastřelil hejtmana. Naládoval flintu a šel do kanceláře. U kalicha is the tavern where Švejk and landlord Palivec were arrested by detective Bretschneider at the very start of the novel. This probably happened on 29 June 1914 as the news about the murders in Sarajevo appeared in the newspapers on that day (Müllerová had just read about it). The plot returns to U kalicha in [I.6] when Švejk is released from his ordeal, again meets Bretschneider, and convinces the detective to buy dogs from him. His last visit is in [I.10] after he has started his career as officer's servant with Katz. Mrs Palivcová refuses to serve him as she thinks he is a deserter. U kalicha is also mentioned in [II.4] in the classic scene from Bruck an der Leitha when Švejk and Vodička promise to meet there after the war, at six in the evening - one of the most famous quotes from the entire novel. U kalicha is the name of a restaurant in Na Bojišti street, and also the name of the building where the restaurant is located. Today it is thanks to Švejk a tourist attraction, but in 1914 it an ordinary pub with one tap-room, . Proofs of the tavern's existence appear already in 1896 when Vilém Šubert is listed as landlord at Na Bojišti 8. In 1899 adverts reveal that it already then was known as U kalicha and that it was located in Na Bojišti 1732/8, in the same building as today. That year the owner was trying to sell new bicycles, presumably as a side business. The building itself has been there at least since 1892. In 1907 the building was advertised for sale and the advert mentions the pub. In the 1910 address book it is listed at Na Bojišti 1732/14, and the landlord is Vilém Juris. Police records revealed that he lived at the address from 18 July 1908, born in 1871 and married to Blahoslava. In 1913 he placed adverts specifically aimed at students and he used the name U zlatého kalichu. Juris marketed his establishment "as a well known meeting spot for students, with concerts every day and open until the morning". In 1917 some Vaneček had taken over the license. In April 1923 adverts reveal that the pub had been renamed Café Evropa and offered French cuisine, and the 1924 address book lists the owner as Josef Kyral. Adverts from November 1923 show signs that U kalicha had started to exploit its connection to Švejk. It remains unclear why Jaroslav Hašek gave U kalciha such a prominent role in the novel as none of his biographers or friends mentions it as a place he frequented. One possible connection is one Josef Švejk (1892-1965) who from 1912 onwards lived two houses down the street. This is a person the author may have known about, particularly since both were volunteers in České legie from 1916. In this context it is worth mentioning that there is no mention of U kalicha in the 1911 and 1917 versions of Švejk so the author's knowledge of this person may have inspired him to introduce U kalicha in the novel. His first name Josef is also introduced in the novel. We also know that Jaroslav Hašek associated with students from the technical college so he may have been drawn to U kalicha by them. That he knew the environs of U kalicha is also clear. Two houses down, in number 463/10, a brothel was registered on Antonín Nosek (1912). This could explain why Švejk told Vodička that "they have girls there". The well known Norwegian germanist Elsbeth Wessel contributes with a peculiar item. In an otherwise insightful chapter on Hašek she informs that "that the author slowly drank himself to death at U kalicha". Who the source of this claim is we don't know, but this should be regarded as a blip as the rest of her contribution is of high quality. Over the years a number of legends have been spun around U kalicha and Jaroslav Hašek’s novel. An early example is Maxmilian Huppert (Prager Presse, 5 December 1929) who claimed that a certain František Švejca (born 1875) was a regular there, traded in stolen dogs, and adds a number of details that bear the hallmarks of trying to adapt reality to fit the novel. Hupperts crown witness is a former landlord at U kalicha, P(Ferdinand Juris. He claims to have known this "Švejk". More tangible is the information that U kalicha no longer operated and that the premises now were used for storing flour. In 1968 a related story appeared in the weekly magazine Květy (12 September 1968, signed J.R Veselý). It contained sensational claims that a Josef Švejk was in fact a friend of Jaroslav Hašek and that they met on several occasions before, during and after the war. Much of the story has been verified, but the details that attempt to connect this Švejk to Hašek appears to be invented. See Josef Švejk for details. In his book from 1989 Die Abenteuer des gar nicht so braven Humoristen Jaroslav Hašek Jan Berwid-Buquoy threw in several new but rather "coloured" items. It is claimed that a Marie Müllerova was a brothel madam in the same building, that František Strašlipka, the alleged model for Švejk, was a regular there and was even her lover, that Palivec was a waiter there, that the landlord was a certain foul-mouthed Václav Šmíd. The author has since re-spun and expanded the story a few times, through another book (2011) and an article in Reflex. He even changed the name of the landlord and other details, but the essence of the information has never been confirmed. Later it has is claimed that Anastasie Herzog bought the building in 1907. Police records show that the businessman Benno Herzog actually lived in the building in 1912, but the only Anastasie Herzog showing up in police records was his daughter, born in 1907! The 1906 address books lists the owner of the building U kalicha as Karel Císař. In the end these stories appear to be based on hearsay. A more serious concern is that most it appears on the restaurant's own web site (even in English and Russian), so the nonsense gets propagated world-wide. Here even more "facts" are thrown in the pot: U kalicha is supposed to have become popular after the translation of Švejk into German (1926) and particularly during the thirties when German journalists and men of letter came to visit E.E. Kisch. In that case they would have been disappointed as the restaurant closed down some time between 1924 and 1929 (it is not found in the 1936 address book). Around 1955 U kalicha was expanded (probably re-opened), and deliberately turned into a tourist attraction. From then on the restaurant occupies both No 14. and No 12. It lives well on the connection with Švejk, with prices above average and frequent tour groups visiting. Still U kalicha is worth a visit as it is decorated with memorabilia related to Švejk and the times of WW1. To avoid the crowds it is advisable to visit around lunchtime or early afternoon. The food is Czech, the menu comes in 27 languages. Between legends and reality Hostinec "U Kalicha"
Mezi legendou a skutečností Hostinec "U Kalicha"
K.u.k. Staatspolizei is mentioned when it is revealed that Bretschneider is in the service of the state police. K.u.k. 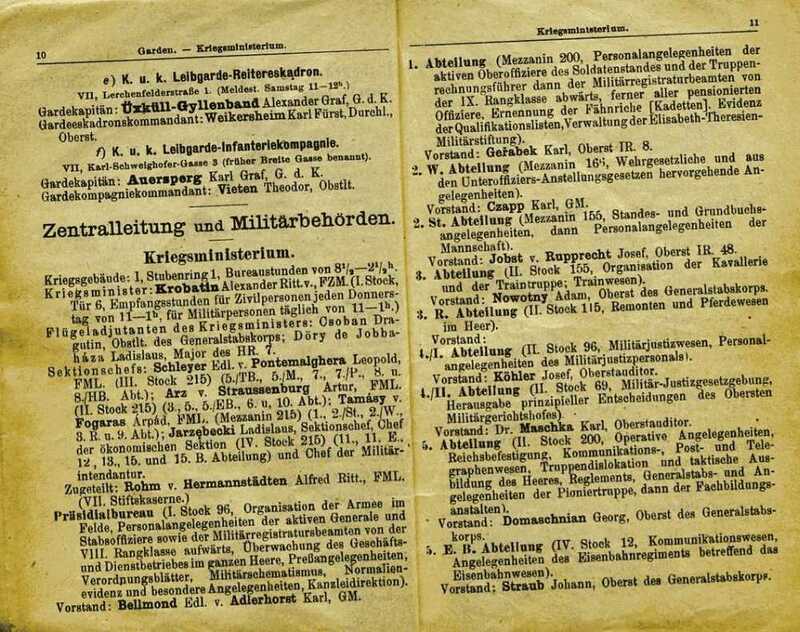 Staatspolizei was the domestic civilian intelligence service of Austria-Hungary, which main task was surveillance of potential enemies of the state. The department was created in 1893 after civilian unrest and the unit reported directly to the "Statthalter". In Prague their servicemen and agents were operating from Policejní ředitelství. In their service were amongst others two young lawyers, Slavíček and Klíma. Head of the Prague office was Viktor Chum. 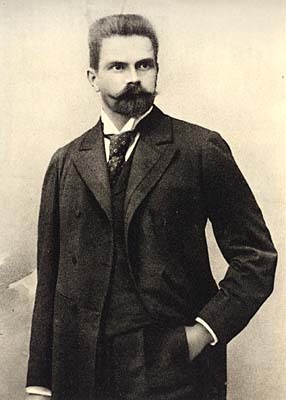 Jaroslav Hašek had intimate knowledge of the state police, originating from his period as an anarchist activist (from 1904). His most celebrated encounter with them was after his famous hoax at U Valšů on 24 November 1914 where he registered as a Russian trader, ostensibly to test the vigilance of the Austrian security service. He was let off with only 5 days in jail which he served immediately. During the war the eyes of the state police again fell on Jaroslav Hašek. It happened after the author on 17 June 1916 (30 July) published a story in Čechoslovan in Kiev where he lets a tomcat soil pictures of the emperor. This led to charges of high treason and an arrest order was issued. Several of the other stories he wrote also aroused interest at home. They were translated to German for the benefit of the investigators and led to a lively exchange between the police headquarters in Prague and Vienna. Dobrý voják Švejk v zajetí: … Švejka vedli k výslechu do oddělení státní policie přímo k policejnímu komisaři Klímovi a Slavíčkovi. [1.1] V hospodě „U kalicha“ seděl jen jeden host. Byl to civilní strážník Bretschneider, stojící ve službách státní policie. Hostinský Palivec myl tácky a Bretschneider se marně snažil navázat s ním vážný rozhovor. Vinárna Sarajevo was a wine tavern in Nusle where, according to Palivec, there was fighting every day. Vinárna Sarajevo was a wine tavern which existence and location has yet to be verified. According to Milan Hodík Palivec may have referred to a small pub known as Bosna in Michle. Šlo nejspíš o malou hospodu zvanou Bosna na michelském kopce nad Bondyho statkem. Jungmannová tř. -/25, Praha II. Mladočeši is mentioned indirectly when Palivec tells Bretschneider that he serves whoever pays up, and that he didn't care at all if it was a Muslim, anarchist, Turk or a Young Czech who killed Franz Ferdinand. Mladočeši (officially Národní strana svobodomyslná) was a Czech political party that existed from 1874 to 1918, formally called the National Liberal Party. The party reached its zenith after 1890. Due to their for the time radical demands on universal suffrage and greater autonomy for the Czech lands of Austria-Hungary, they received considerable support in their homeland but correspondingly greater opposition from Vienna. Thereafter the Social Democrats and the Agrarian Party made inroads into their electoral base, and the party lost much of its influence. The leading politician in the history of the party was Kramář. The party's official newspaper was Národní listy, to which Jaroslav Hašek contributed many short stories. At the 1911 election to Parlament they achieved 9.8 per cent of the votes in Bohemia and had 14 representatives. Věznice Pankrác is implicitly mentioned by Palivec when he explains that talking politics might mean ending up in Pankrác. The prison is also referred to in [I.3] where the unfortunate lathe operator who broke into Podolský kostelík was incarcerated and later died. Věznice Pankrác (C.k. trestnice pro mužké v Praze) was at the time a large penitary for men, and "pankrác" is almost synonymous with prison in Czech slang. The prison is named after the Pankrác district where it is located. Construction started in 1885 and was complete in 1889. It was at the time a modern prison with good conditions for the inmates. In Austrian times the prison mostly housed dangerous male criminals but also saw the odd political prisoner. The prison later became the scene of executions and 1580 persons were killed; 1087 of them during the Nazi occupation. During Communist rule from 1948 another few hundreds were executed. The Raging Reporter has contributed his part to the fame of the prison. Denied permission to enter, he still climbed the walls, and reported from the cemetery of the inmates. Their graves were not marked! This is all revealed in the story Im Friedhof der Pankratzer Sträflinge (On the cemetery of the Pankrác inmates), first printed in Bohemia on 7 November 1913, in 1931 appearing in the book Prager Pivatal with the title changed. [1.3] Potom ten soustružník zemřel na Pankráci. Krajský soud Písek is where the pig gelder from Vodňany was sentenced and executed, all whilst uttering the worst imaginable things about the emperor. At least this is what Švejk tells Bretschneider at U kalicha. Krajský soud Písek was an institution that was part of the judiciary of Austria, and also remained under Czechoslovakia. Písek also hosted an okresný soud (district court), and this court still exists. The location of the court is almost certainly the same as under Austria. The court in Písek was involved in the infamous Hilsner-affair where a Jew was accused of ritual murder. His death-sentence was confirmed in Písek on 14 November 1900 but the verdict was converted to life imprisonment and in 1918 he was set free during a general amnesty. Future president Masaryk put his academic career at stake during his defence of Hilsner. The verdict at Písek was quashed as late as 1998.